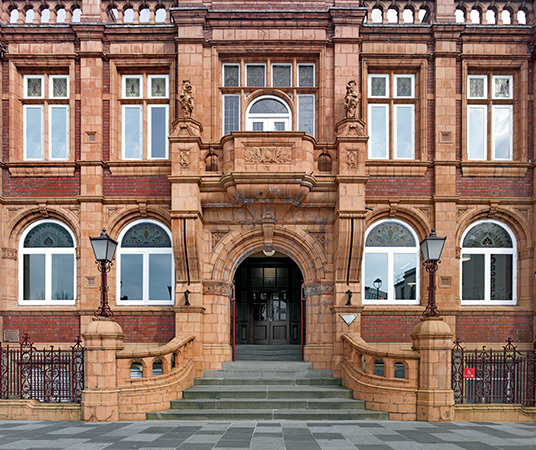 We have just completed a nine-month collaboration with Merthyr Tydfil Housing Association. 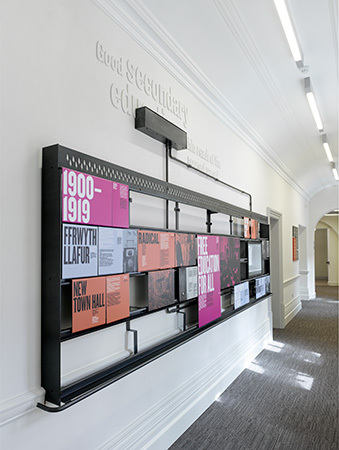 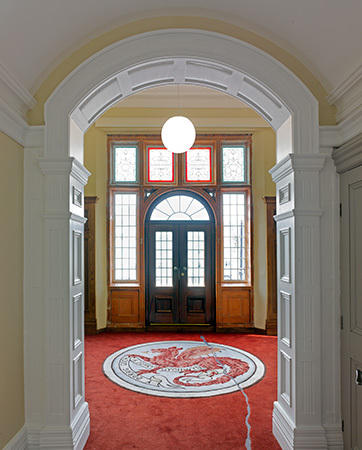 Our work consisted of content development, 3D design and graphic interpretation design of an editable and updatable display system for Redhouse, a new arts centre born out of Merthyr Tydfil's former town hall. 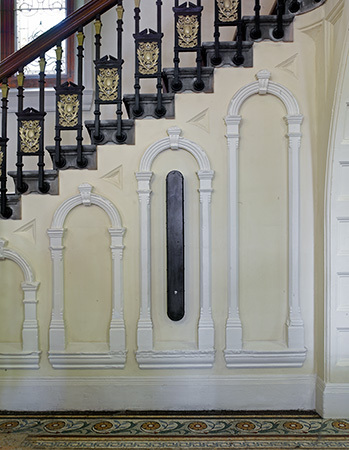 The system consists of eight hanging staves fabricated in hot-rolled steel onto each of which slide movable steel panels. 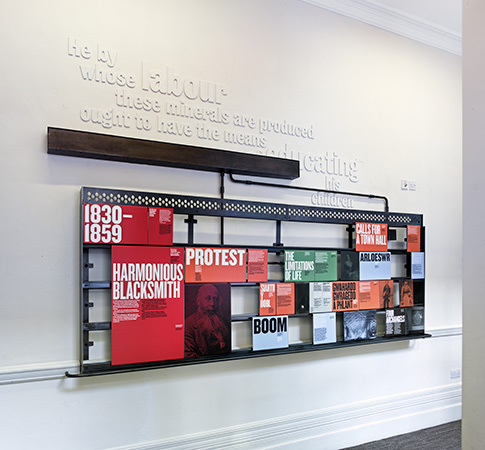 Each panel is wrapped in printed adhesive-backed vinyl enabling inexpensive and easy re-skinning of content. 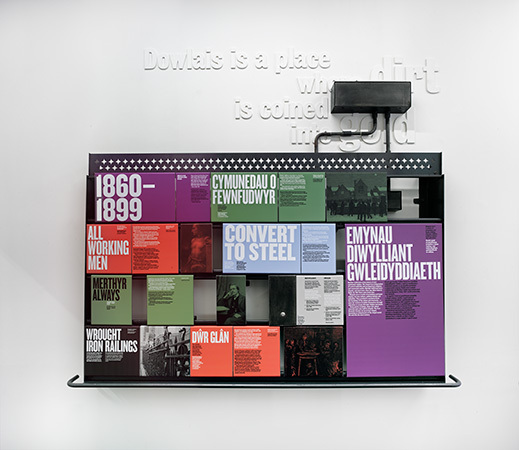 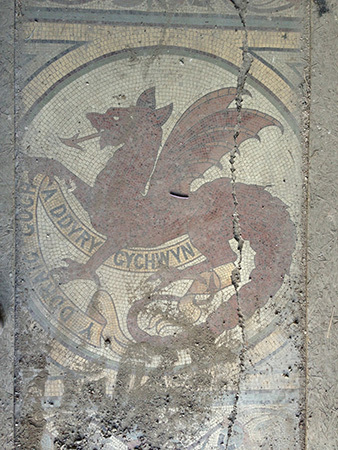 Incorporating video and audio, the installation tells the story of Merthyr Tydfil. 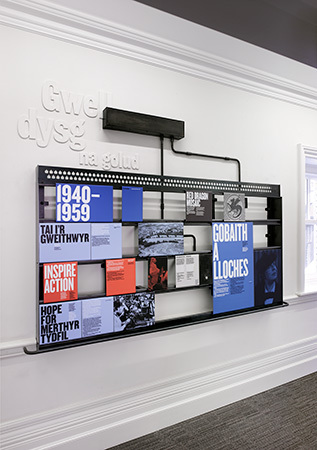 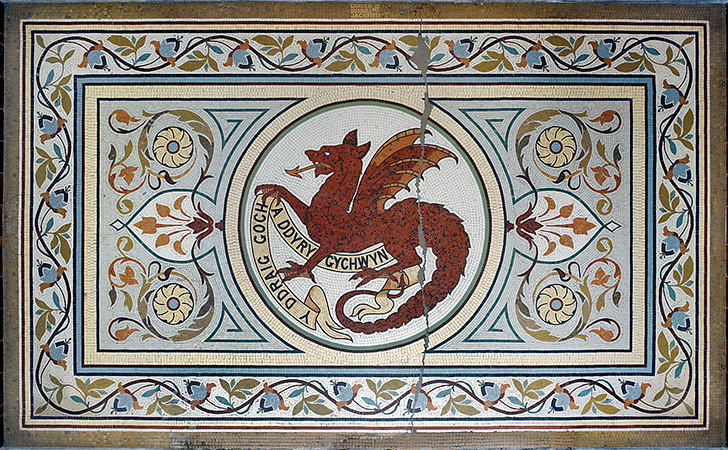 Working closely with local history societies, libraries and organisations, we have researched and written over 100 stories in Welsh and English. 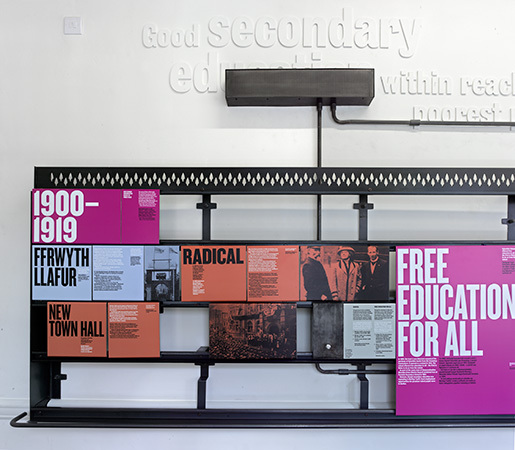 Both personal and community histories since 1830 have been shared: from powerhouse of the empire through industrial decline and up to the present day including Chartist protests, the local campaign for the town hall and Britain's first Labour MP Keir Hardie. 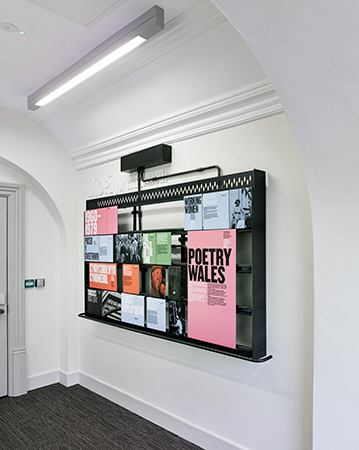 3D design was in collaboration with Coombe Architecture, content development by Kate Hulme, Welsh language by Cambrensis, fabrication and installation by Standard 8.